Sara Scott and Joshua Reger, Staff Research Associates with the Dept of Entomology, UC Riverside are stationed at the Lindcove Research and Extension Center. Their research program centers on citrus integrated pest management. 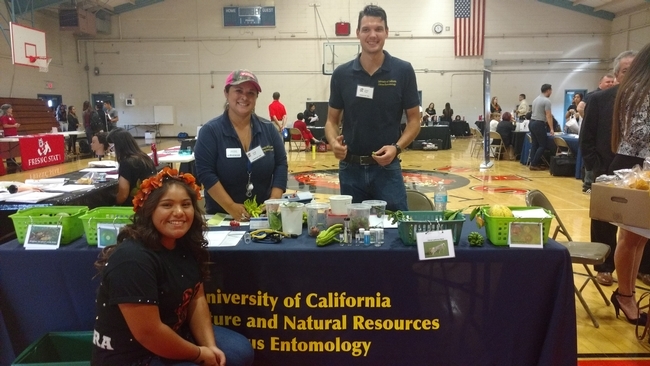 On October 14, they presented information about citrus fruit and citrus pests for Woodlake High School career day and talked to students about their careers in agricultural research. It makes me very happy that folks like you reach out to young people with enthusiasm about what you do so that they can see what options there might be for them in the agricultural arena. Way to go!